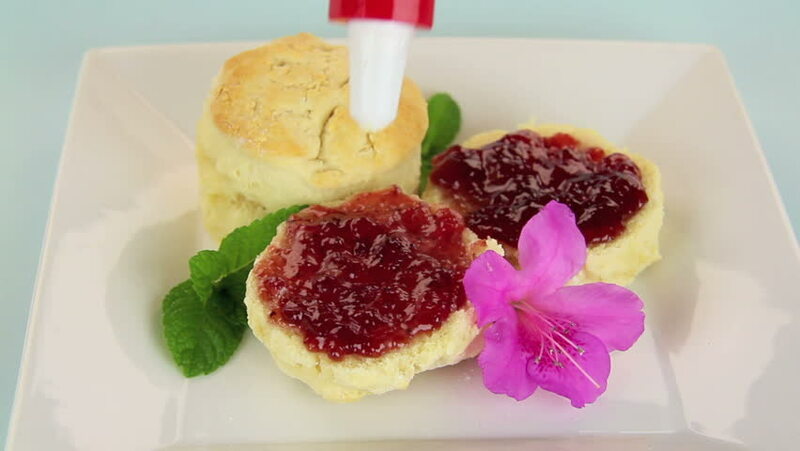 Fresh baked scones with strawberry jam and whipped cream applied with piping bag. hd00:19A delicious creative foodie gourmet ganache chocolate, Lychee and Cherries Flan syrup meal is being given the finishing touches by the chef cook presentation in a restaurant or hotel kitchen cuisine. hd00:11Woman making sandwiches. Puts an egg in a hole in a slice of bread. For baking.